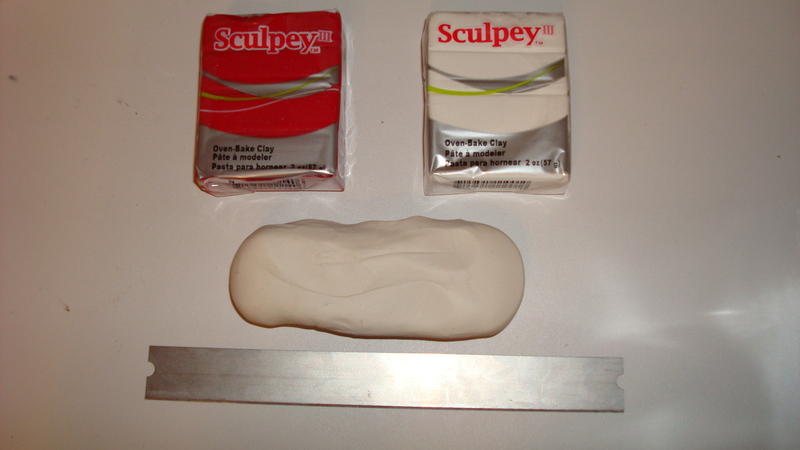 This is my first attempt creating something with polymer clay. It was quite fun and very quick to make. 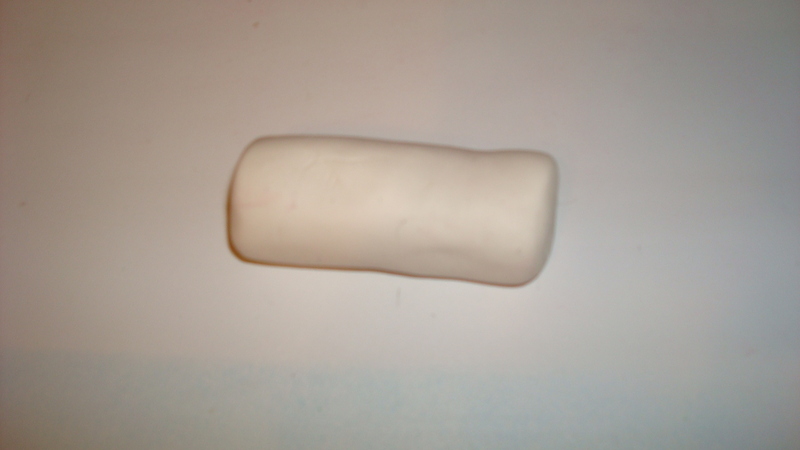 Step 1: Roll the white clay into a chunky cylinder. Step 2: Roll the red clay to condition it, making it easier to work with. 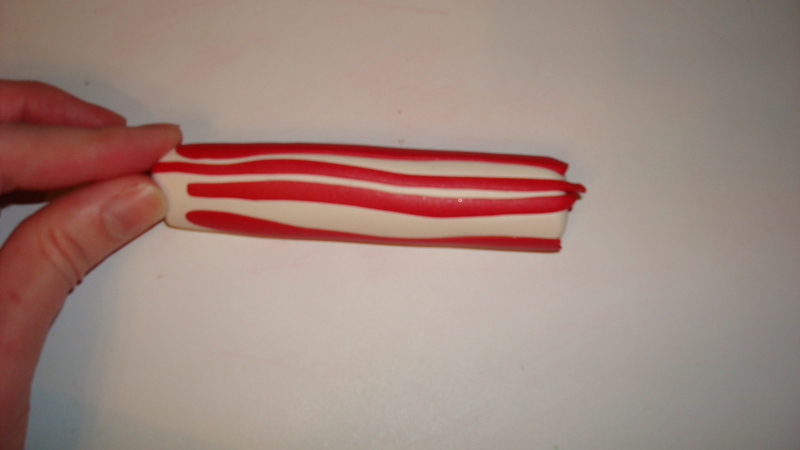 Use the cutting tool to cut rectangular strips, equal in length to the cylinder. 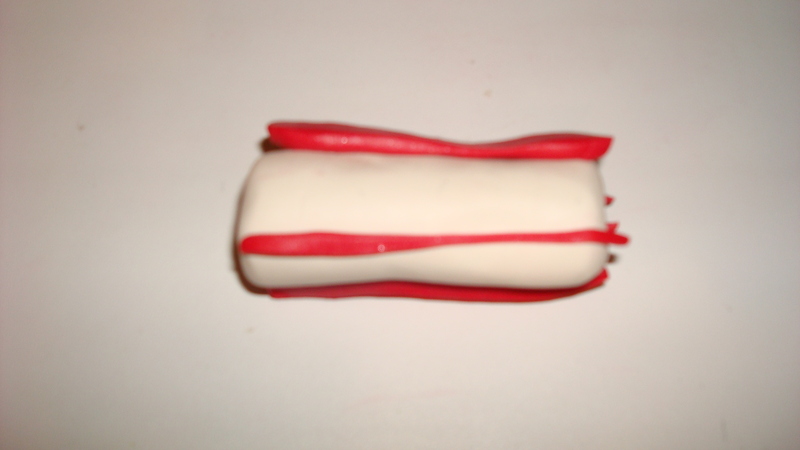 Step 3: Press the red strips onto the outside of the white clay cylinder. 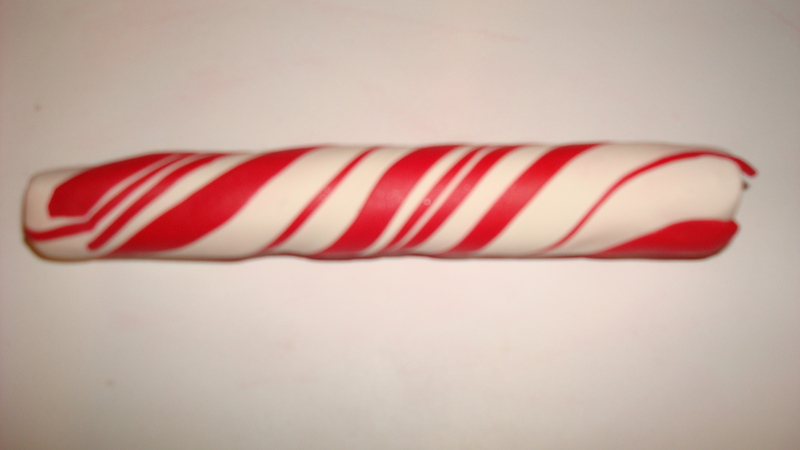 Step 4: Roll the cylinder, slightly twisting it, forming the “peppermint” pattern. Continue rolling until you have a cylinder about 1/4″ diameter. Cut in the center. 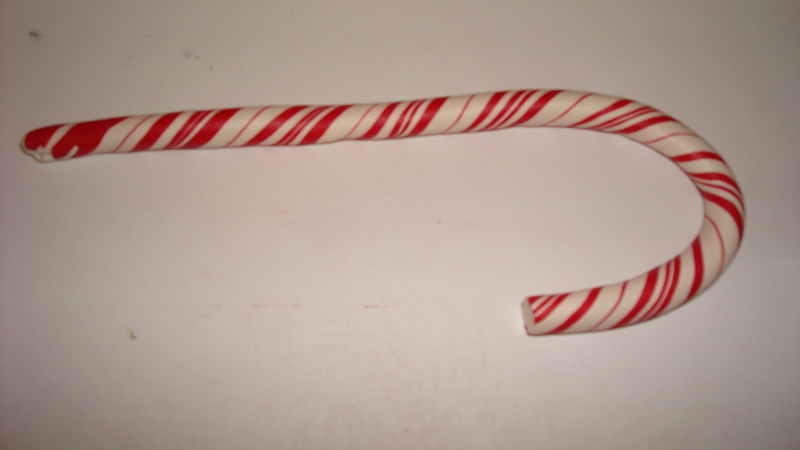 Step 5: Shape the cane and bake according to the instructions on the package. And Done! 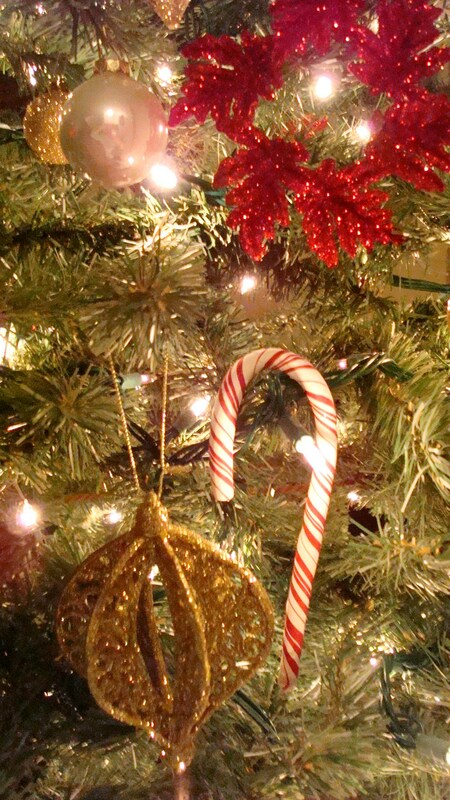 Let them cool and then hang them on your tree! Too Cute!